Get inspired with new team building activities for work! Are your team building ideas old and tired? In a snap, team building activities can go from lame to fun, sloppy to purposeful, and fruitless to motivational. Freshen up your repertoire with these contemporary, purpose-driven ideas for the workplace. We’ll examine the four main goals of team building at work and provide activities and exercises for each goal. 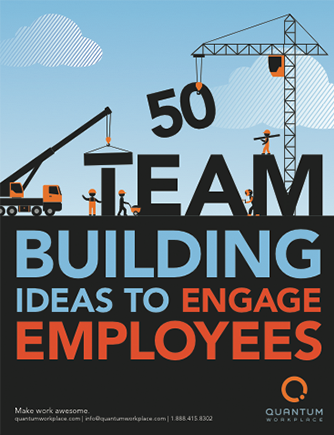 This ebook gives you plenty of ideas, from outdoor to indoor, so you can find the best activities for engaging your team.